Butler Scanning technicians are the most experienced and well trained in the GPR & X-Ray industry. Their thorough knowledge of the GPR scanning and Radiology equipment & practices as well as their extensive background and experience in core drilling and concrete sawing procedures make our staff the most formidable in the industry. This service minimizes the risk of costly utility and structural repairs. Our technicians will provide our clients with a detailed analysis and customized report including photos of the scanned areas and copies of the actual corresponding 2D and 3D scan. Our scanners see deeper than ever before by detecting embedded objects at depths up to 18" in concrete. Our service area includes but is not limited to the City of Chicago and surrounding suburbs, Wisconsin, Indiana, Minnesota, Iowa and Michigan. 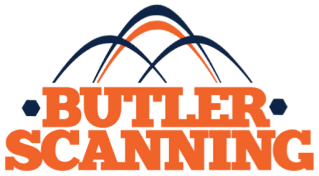 Butler Scanning and its’ affiliate Butler Coring offer our customers the most complete menu of services in the industry. In addition to our Scanning Division, Butler Coring offers core drilling, concrete sawing, demolition and concrete repair services. Butler Scanning is committed to conducting business in a manner that protects the health and safety of all employees, customers and the people in the community where it operates. To accomplish this, Butler Scanning will ensure that it complies with the current OSHA laws and will maintain its operations, procedures, technologies, and policies accordingly. Each employee will have the responsibility to fully comply with established safety rules and to perform work in such a manner to prevent injuries to themselves and others. All Butler Scanning employees carry OSHA 30 Hour Certification. Butler Scanning employs a comprehensive safety program that is updated constantly to keep up with industry standards.